Redesigning its Momentum preamplifier from the ground up, the new Momentum HD preamplifier is engineered to provide higher levels of performance than the previous version. 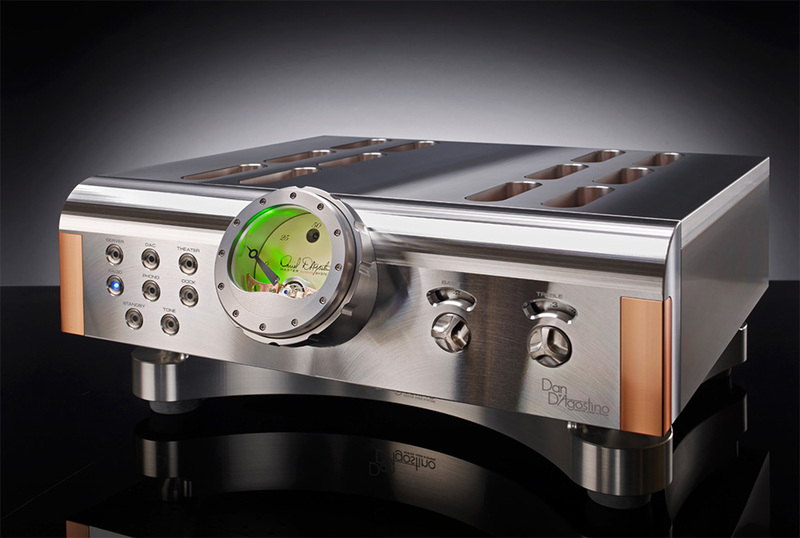 The newly announced Dan D'Agostino $40,000 Momentum HD Preamplifier incorporates improvements in the power supply, audio circuitry and control sections when compared to the previous generation model. Few companies have the legacy of Dan D'Agostino Master Audio Systems. 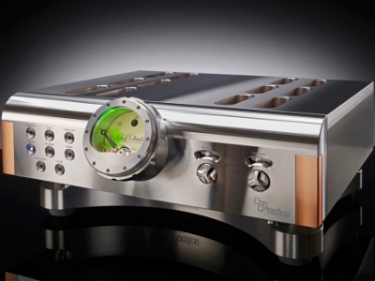 Recently the company announced a major upgrade to one of its first products, which is now available as the $40,000 Dan D'Agostino Momentum HD Preamplifier. Dan D'Agostino Master Audio Systems explains the HD designation represents the series of design improvements made to the product. Summarizing those improvements, the company says it has upgraded the preamp's power supply, audio circuitry, and control sections. "This new input stage was an engineering experiment that surprised us with the level of fine-grain detail and delicate musical shading. The subtleties of voices were rendered with a lushness and richness that were simply unattainable previously," states Dan D'Agostino, chief designer, Dan D'Agostino Master Audio Systems. "The increased output voltage has opened up the dynamics of both the micro and macro levels. The speed of the dynamic contrasts jump out on a visceral level." As part of the Momentum Preamplifier's redesign, the company is housing the preamp's main power supply in a separate housing to provide better isolation properties. The company says the preamp's transformer is one third larger than the previous-generation preamplifier's power supply, and it employs a "unique winding technology" that it first used for its M400 amplifier. Dan D'Agostino says the design delivers more power, and the new preamplifier's internal circuitry filters RF noise from powerlines and it compensates from asymmetric power waveforms and DC on the main power lines. The Momentum HD Preamplifier also employs a new discrete differential FET input stage that incorporates two current sources per leg and it provides an input impedance great than 1MOhm. According to the company, the high-impedance levels isolates the input stage, and conversely the entire audio signal path from external variables that affect signal integrity. The new preamp utilizes a new Bluetooth technology in its companion remote control, granting a five times greater range than standard IR communications while also eliminating the inherent problems that are associated with IR's line-of-sight limitations. In addition, Dan D'Agostino has redesigned the preamplifier's tone and volume control circuits to increase their range and improved their precision. Aesthetically, the product has been upgraded to an industrial design that better matches the appearance of the company's Momentum M400 and S250 amplifiers. The Momentum HD Preamplifier is available in a choice of silver or black finishes.